This is a first in a range of coats that pay homage to those great British designers who have led the way with floral, stripped and checked patterns making them more popular than ever. This multi layered coat with detachable hood will keep the heat in and the cold out come what may and the colour will brighten up even the most dullest of days. Combine that with great colours, a perfect fit plus great quality and you have a coat that is second to none. 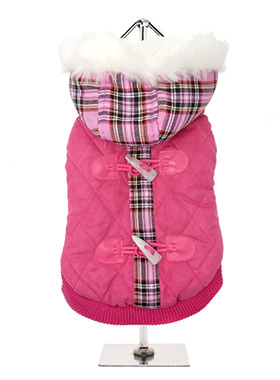 A truly classic collection of coats to see your dog through the season ahead and beyond.